Only 20 made! 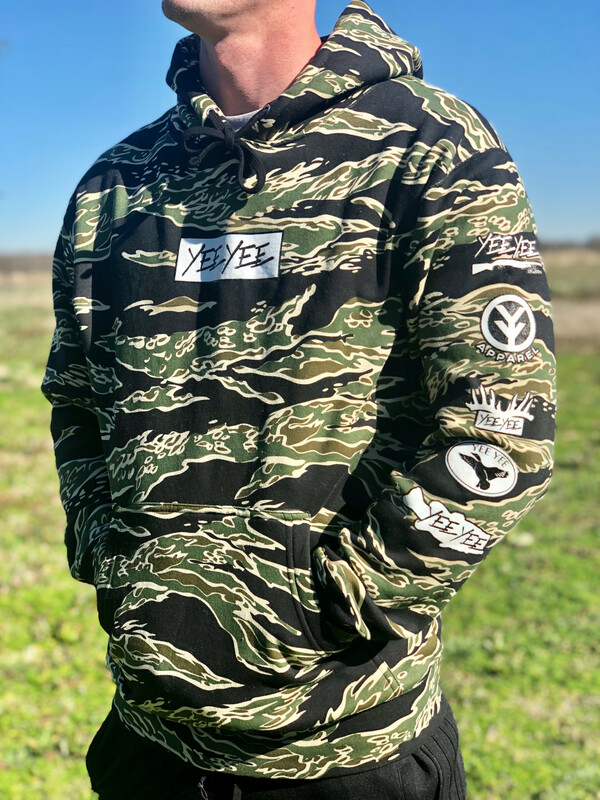 Tiger camo color is finished with Yee Yee logo graphics at the front and along the sleeves. Rib knit banding at the cuffs and hem provides a snug and secure fit. 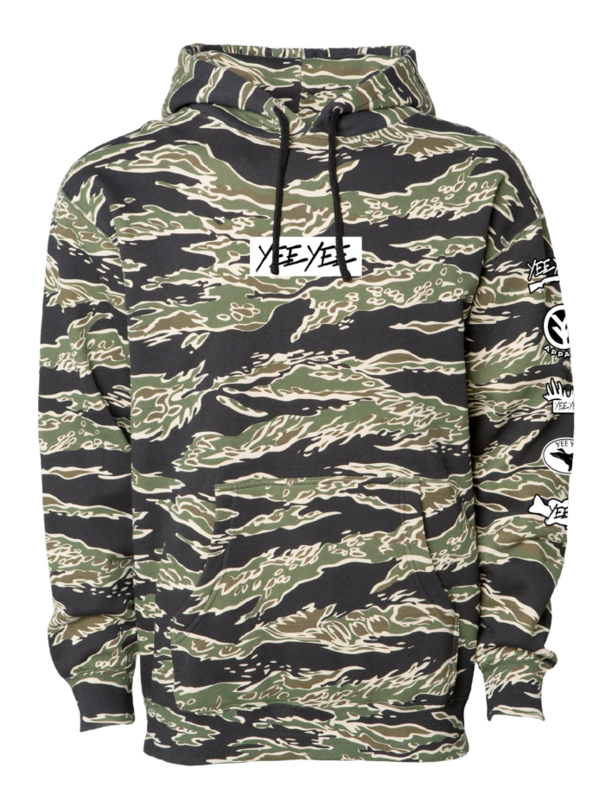 Laced with an adjustable hood and a large front pocket.